Yesterday during sunset I took a quick drive around Palm Beach Gardens to see what I could capture. Following the clouds I ended up on the PGA Boulevard Bridge that crosses over the intracoastal waterway, which was something that I’ve been wanting to shoot for a while. 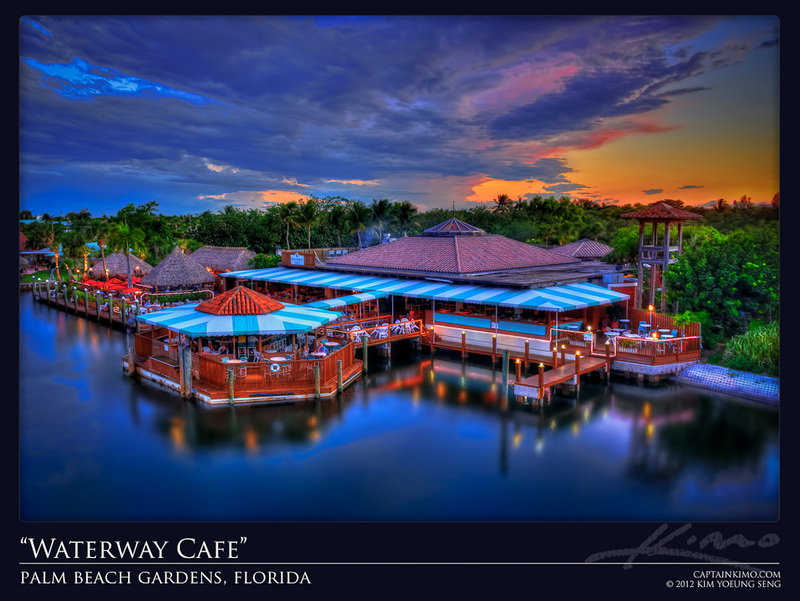 However the light wasn’t doing it for me over the waterway so I focused my attention on the Waterway Cafe Restaurant. I had the perfect mix of color, light and clouds which really made the image pop with HDR.